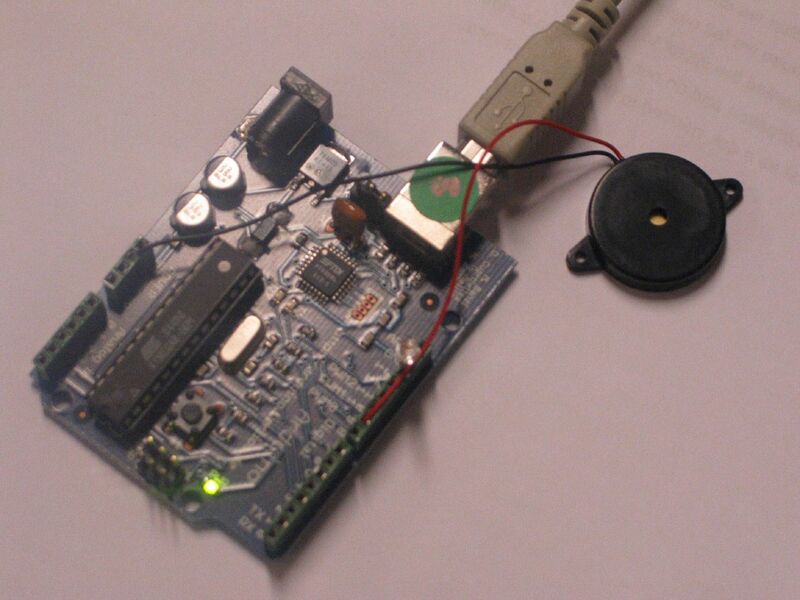 This example uses a piezo speaker to play melodies. It sends a square wave of the appropriate frequency to the piezo, generating the corresponding tone. Piezos have polarity. Commercial devices are usually have a red (positive) and a black (negative). Connect the red wire digital pin 9 and the black wire to ground. Sometimes it is possible to acquire Piezo elements without a plastic housing, then they will just look like a metallic disc. A piezo connected to pin 9.